Email is a notoriously fickle channel. Something as simple as tweaking the subject line can be the difference between an 8 percent or an 80 percent open rate. Companies that get it right earn an average of $38 per dollar spent, the most of any marketing channel. But for every success story, there are half a dozen marketers wondering why their campaigns fell flat. Although email campaigns fail for all sorts of reasons, most boil down to a single sin: irrelevance. In the attention economy, one-size-fits-all messaging simply doesn’t work. According to a study conducted by personalization provider Monetate last year, four out of five marketers who met their revenue goals had a documented personalization strategy; just 8 percent of those who missed their revenue targets had one. 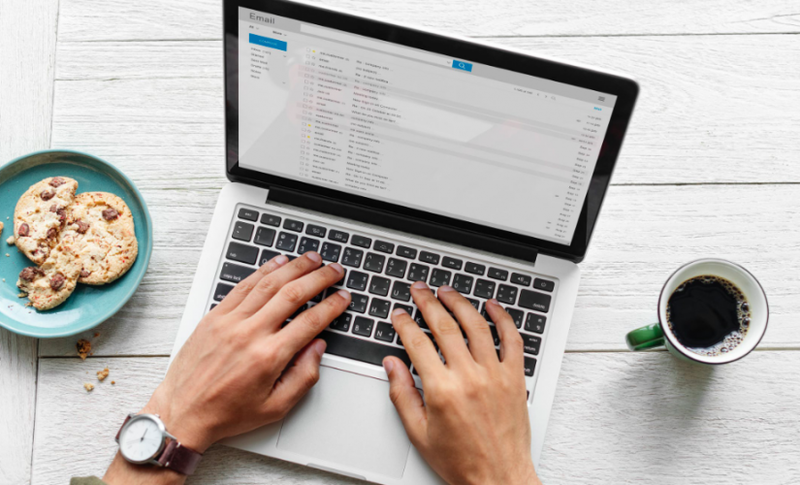 With email volumes rising by double digits each year, however, crafting effective campaigns is no longer as simple as slapping on a personalized greeting. Consumers want brands to make them feel individually appreciated and understood. What better way to get personal with recipients than to give them a voice? After its subscribers tuned out one sales email after another, Ticketmaster tried something new. Three days prior to the Video Music Awards, it sent out a live poll asking readers to vote for winners in each of the event’s main categories. The results were unlike anything Ticketmaster had ever seen: an open rate 182 percent above its average, a 0 percent unsubscribe rate, and 80 percent of readers returning to the email to cast a second vote. Although tools like SurveyMonkey let marketers create their own polls, these methods require readers to click through to a third-party website to cast their vote, reducing engagement. Email customization services like Mixmax enable brands to embed polls and call-to-action buttons, including multiple-choice questions and Q&A surveys, within the body of their emails. This makes it easier for recipients to respond and also helps start a relationship with prospects. Personalized matchmaking service Three Day Rule discovered that sequences including in-body calls to action freed up staff time, allowing their matchmakers to work with 50 percent more clients. 2. Tell them a story about themselves. Brands are all too happy to tell customers their story, but they tend to leave out the most important character: the customer himself. Consider how EasyJet wrapped its “How 20 Years Have Flown Campaign,” sent for the brand’s 20th anniversary, around the customer’s own experience. The storyboard email includes each customer’s first EasyJet flight, total distance traveled, number of countries visited, frequency of window seating, a trip suggestion, and more. According to EasyJet, the campaign’s open rate was twice that of its typical newsletters. Customer data is key for this type of campaign. Begin by augmenting your CRM with a customer data platform, which is a marketer-managed system that unifies customer data across multiple sources. Unlike most CRMs, CDPs update profiles in real time, ingest all kinds of data, and offer cross-company access. “Happy birthday” emails are fun, but they’re a dime a dozen. Take event emails a step further by rewarding longtime readers for their loyalty. To celebrate one user’s two-year subscription anniversary, news service TheSkimm asked her if she’d like to become a brand ambassador. To receive the title, she had to share a link with 10 friends — an easy, brand-building task that gave her the sense she’d earned it. Not only do anniversary emails work for all subscribers, but they also work for all brands. Recipients don’t have to input any additional data, and companies can adjust the timeline according to their product cycle. All this tactic takes is creative copy and planning around the award. 4. Warn them about the weather. When it comes down to it, the weather is just about the only report that’s relevant to everyone. Fortunately, it’s also relevant for plenty of companies. Poncho, the now-defunct weather cat, built an entire business model on customized weather emails. Although daily weather updates wouldn’t make sense from most brands, companies ranging from REI to John Deere can deliver personalized value by warning subscribers when severe weather might threaten their outdoor adventures or harvests. Best of all, marketers can use Zapier to integrate weather and email marketing tools without writing a single line of code. Dozens of factors influence an email campaign’s effectiveness, but most trace back to a single question: Do they make the reader feel valued? From the subject line to the greeting, effective campaigns are built around that principle. Those that don’t won’t convert — assuming they’re even opened — and no amount of clever copy or mobile optimization can change that.